Wolf Alice are back with their second album ‘Visions of a Life’. The excitement for this album was huge after the massive success of their first album, ‘My Love is Cool’ back in 2015. The album kicks off with ‘Heavenward’, the fourth single from the album. The song has quite a soft sound to it, with lead singer Ellie Roswell singing “Go Heavenward, like all earth angels should”. That soft sound swiftly disappears when Yuk Foo, starts playing, with the heavy beat of the drums and the screech of the guitar and Ellie screaming “You bore me, you bore to death!” This song is not for the faint of heart. ‘Formidable Cool’ is one of the best songs off the album. A slick guitar riff with Ellie going from talking to scream without any warning. The next song ‘Space and Time’ is quite an indie-pop song, sounding quite similar to The Vaccines, another song that leaves you wanting more at only two and a half minutes long. ‘Sadboy’ is a catchy song that goes from sounding like a song that could be sang in a church, to a song that will start a mosh pit, which could sum up Wolf Alice as a band. ‘St. Purple and Green’ is another song that is very soft and smooth, with lovely lyrics such as ‘Take me somewhere as green as your eyes.’ However those lyrics could be quickly forgotten with another heavy end to the song. ‘After the Zero Hour’ is another slow and smooth song about a girl who is “High on curiosity, high on power”. 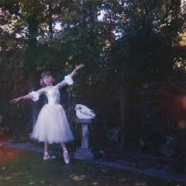 The last song, ‘Visions of a Life’ is Wolf Alice at their grungy roots. The song starts off quite slow but picks up about half way through when you can hear the sound building into something big. All in all the album is outstanding. Wolf Alice have lived up to the hype yet again. Their grungy sound has been replaced by a more Formidable Cool sound which is quite slick. Wolf Alice are playing in the Olympia on November 28th, 2017.